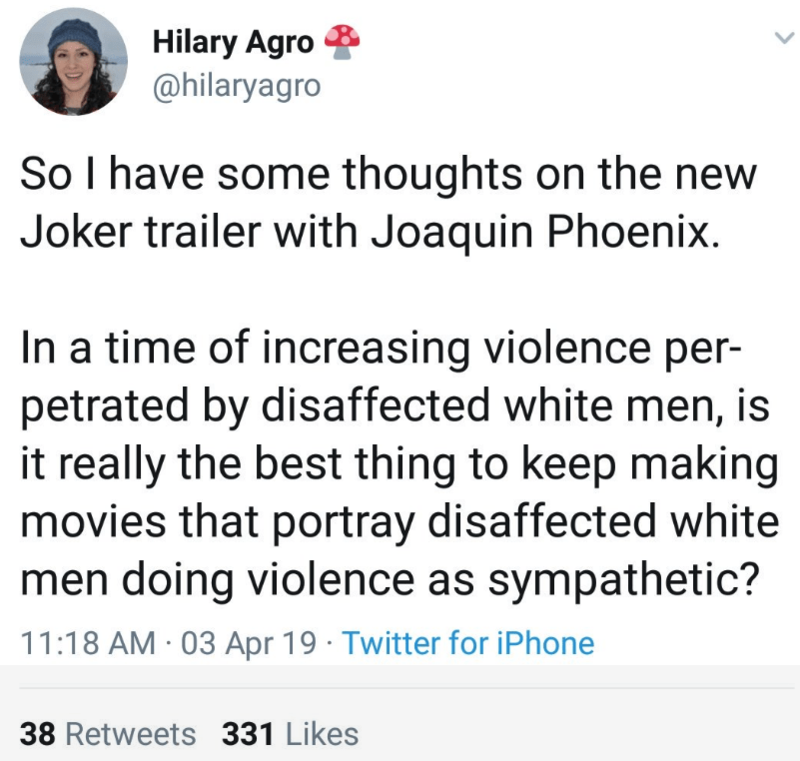 The Joker trailer came out, and there has been a wide range of opinions and a discussion on just how this would turn out as a film. How does it fit into the larger DC Universe? I’m personally a bit apprehensive. 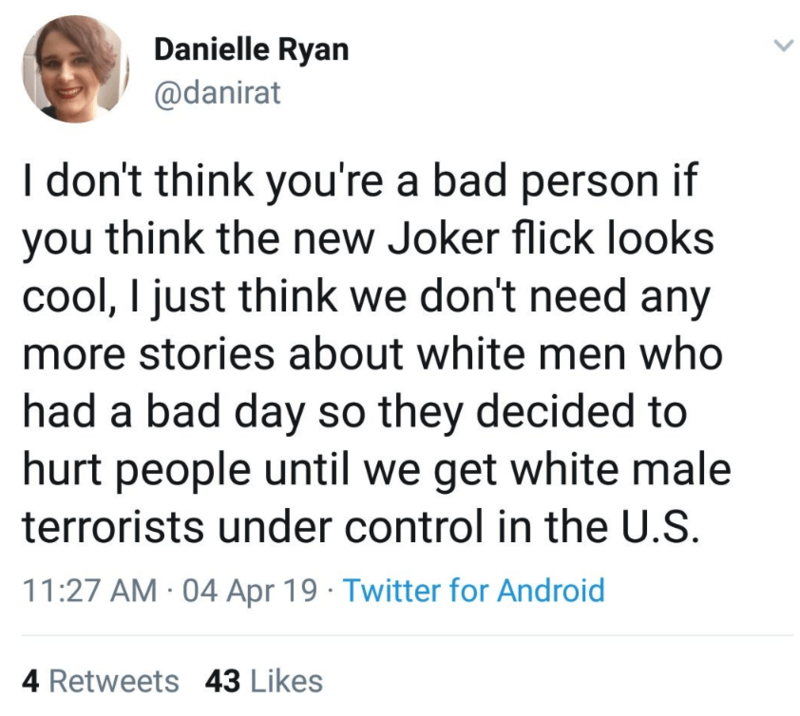 I honestly don’t know if I will enjoy this personally because, I don’t want to be sympathetic with a viscous, joker-type character, nor do I think his descent into madness needs to become an origin story. I prefer it be mysterious and unknown. 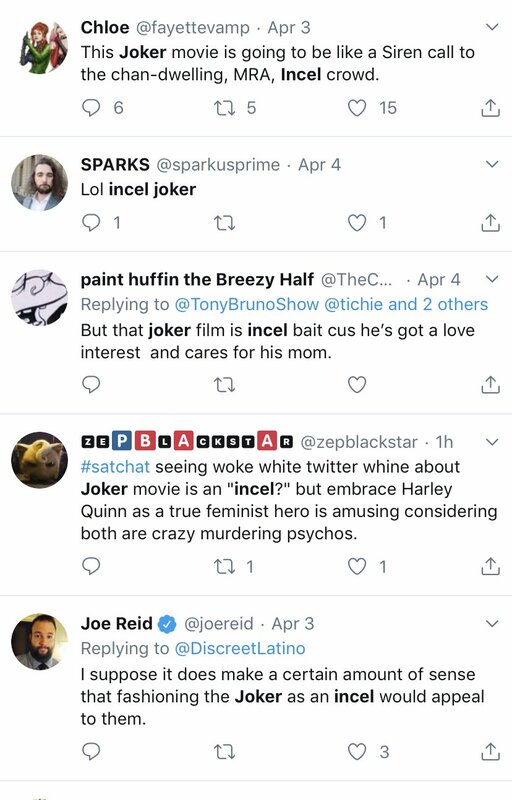 Then again, as expected, I’ve seen some weirdos taking this to a whole new extreme, calling it an “incel origin story”, calling this just another “white male” story, and so much more… Miserable! 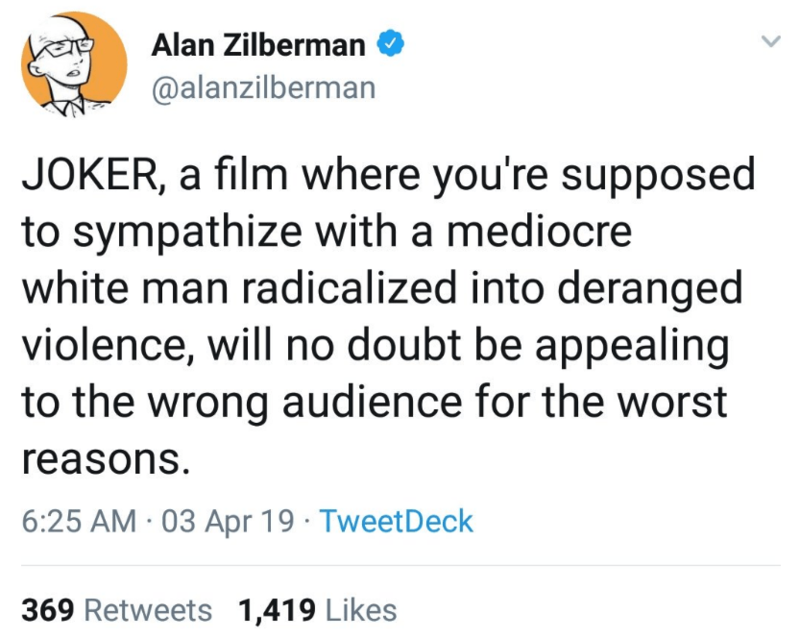 Just because you disagree with the story, or do not like the way it looks, does not mean, nor should it mean, that it has to do anything with race either. Since when has that became so important? Since when is it not okay for a white man to be the star of a show? In my video below I go through a few articles, and tweets related to the subject, about the evil “white man”.